Chrysler reveals the brand’s new tagline, “Imported from Detroit” in “Born of Fire”, a Super Bowl television commercial featuring Eminem and the 2011 Chrysler 200. 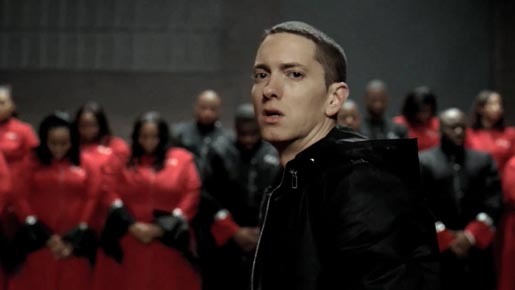 A narrator (Kevin Yon) addresses the connection between Detroit and the concept of luxury as Eminem drives through the city. He steps out at Fox Theatre and walks inside while members of Selected of God, a choir affiliated with Praise Tabernacle in Grosse Pointe, performs. “Born of Fire is designed to generate conversation about the brand and the new 2011 Chrysler 200. The spot reflects where the brand is headed and pays tribute to our industrial roots. The new tagline was created to convey the message that one does not have to cross an ocean to obtain luxury, it’s available right here. The Chrysler brand, the company and its employees have adopted the principle that failure is not an option. The Born of Fire ad was developed at Wieden+Kennedy Portland by executive creative director/copywriter Mark Fitzloff, executive creative director Susan Hoffman, art director Jim Lasser, copywriter Kevin Jones, Greg Rutter and Dan Kroeger, creative director Aaron Allen, creative director/copywriter Joe Staples, executive producer Ben Grylewicz and producer Bob Wendt. Filming was shot by director Samuel Bayer via Serial Pictures with executive producer Violaine Etienne and line producer Martha English. Editor was Tommy Harden at Joint Editorial with producer Jennifer Patterson and executive producer Patty Brebner. Graphics were produced at A52. VFX were produced at Method Studios by VFX executive producer Robert Owens, Flame artist Claus Hansen, VFX producer Ashley Zastrow. Music and sound were produced at Que Chevere Music, Sync2Picture and Shady Records. Music was composed by Marshall Mathers (Eminem), Jeff Bass, Luis Resto and Rhys Chatham. Sound was designed by Luis Resto. Audio post production was done at Eleven Sound by mixer Jeff Payne and producer DJ Fox-Engstrom. Detroit locals include Christopher Roddy, the greeter outside the Guardian Building, and Alidda Czisny, the 2009 and 2011 U.S. ladies champion from the Detroit Skating Club.